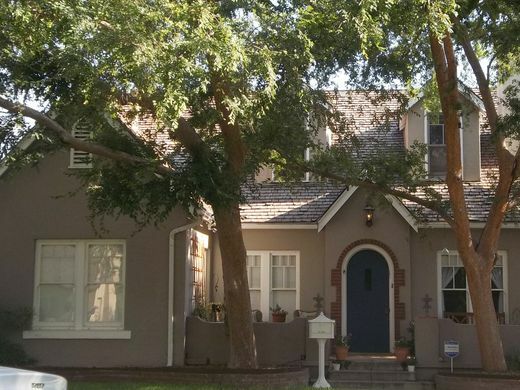 The homes in Ashland Place Historic District were originally envisioned by Mr. Heard of Heard Museum, to be large estates with acreage like those in neighboring Alvarado but were re-subdivided into smaller parcels in response to the Phoenix real estate market of the late 1920s. As a result, Ashland Place has compact lots with smaller and more affordable homes, 68 of them according to the Historic Preservation folks at the City of Phoenix. If you want to live in Ashland Place and there’s just not enough homes to choose from, you may want to consider condo living at The Regency House on Central high-rise. This luxurious condominium building, built in 1964 was just recently officially designated a historic building as part of Ashland Place Historic District, owners are now privy to a 50% tax reduction! The building is glorious and recently underwent more than a $7,000,000 renovation keeping it’s mid-century look and feel.